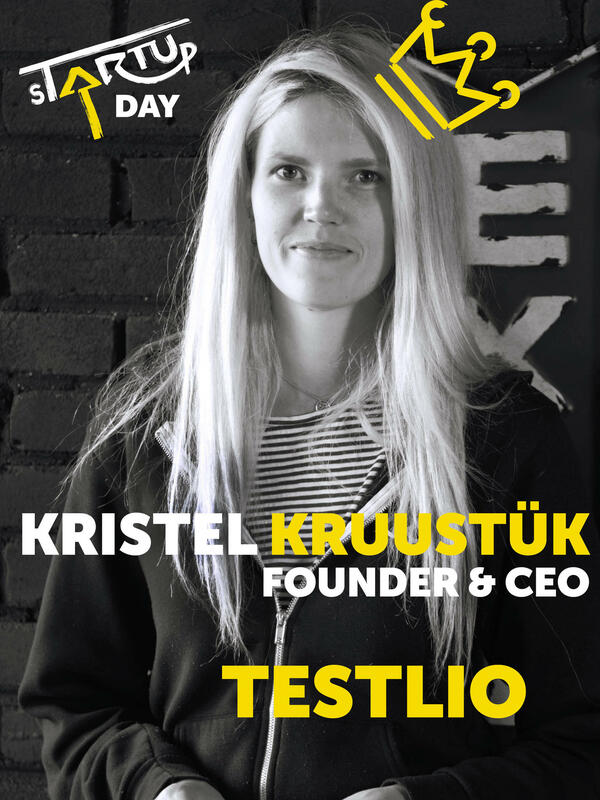 Kristel Kruustük is the Co-Founder and CEO of Testlio, software testing and QA management platform that has become one of the most successful startups in Estonia. Last year, she was chosen to be The Young Entrepreneur of the Year. Now her priority is caring for her son Aaron and learning this new job called “mother”. “As a woman especially, I feel it's important to be able to feel comfortable with combining motherhood and career choices. While balancing these new dynamics is a continuous process, I strongly feel that one doesn't preclude the other – it's all about adaptability,” she says. How did you start with your Testlio? Was it rather easy or difficult? What were the main obstacles? Testlio was born out of my frustration with the crowdsourced software testing industry – I wanted to help companies build quality apps in a smart and efficient way, with the best testers and QA experts. The most difficult part when starting Testlio was that I never really considered what it meant to build my own business and be an entrepreneur. There was no real plan, no money put aside or anything like that. I just had an idea that I truly believed in and tried to make it work by all means necessary – despite the rejections, sleepless nights, lack of money etc. Eleanor Roosevelt famously said “I am who I am today because of the choices I made yesterday” – and this can be applied to my journey as well. The reason I'm where I am today is that I made a decision to create something outstanding with Testlio and my single-minded dedication to achieving the goals I set for myself. Basically and even though at times it has been tough, I haven't let setbacks hold me back or stop me from doing what I love. Perseverance – how you handle everyday challenges defines your success. People like my grandmother and husband Marko who have integrity, work hard, are brave and generally live their life to the fullest. What are the questions to ask yourself to find out what you want to do in life? In my opinion, the one question to always ask yourself is "does this make me happy?". If the answer is "yes", then you're on the right path. If "no" then you need to re-evaluate things and adjust your course of action. What gets me excited is the opportunity we have with Testlio to make a positive difference in the industry and create real impact. Kristel will be one of the speakers at sTARTUp Day 2019 on 23-25 January in Tartu.